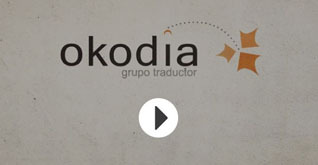 Even though it may seem a cliché, for the Okodia – Translation Group team, every client is unique because every translation project is unique. In other words, every translation project is unique because every client is unique. No project is too small for us. If it is placed in our hands, it’s because the client (you) believes it’s important for their business. We believe in your potential, and that’s why we do our utmost to help you. We save time for the client. We implement the technical resources. We offer you a fair price, according to the real degree of complexity of each project. “My experience with Okodia was flawless from start to finish. Their project manager responded to me within only 5 minutes after I wrote to him. He sent me a price quote and then immediately upon receiving my documents, before I knew it, the project was already underway, completed and sent back to me the next day. I have never been so impressed by a company. There’s no doubt in my mind that Okodia would ever settle for anything less than excellence in their work. They’ve really won me over and not only will I be using them in the future, but I will also recommend them to everyone I know. Thanks guys for such royal treatment! This part of the work flow is crucial. Not only does it enable us to obtain the key points to provide a fair price, but it also enables us to select the best translation team to pave the way to success. In the analysis stage, we assess the client’s needs and establish the type of translation required: general, legal, sworn, technical, tourism, audiovisual, financial, scientific…, the language or languages into which the text will be translated, the time and resources required for the translation, and finally we schedule the project timing and launch. The prior analysis stage enables us to estimate the technical and human resources required by each project more accurately. It also enables us to calculate the workload to perform and deliver it to the client as soon as possible. That’s why you will receive an accurate price. Once the client has approved the price quote, a specific project manager will take control of the project and the production stage starts: selection of the suitable translator(s), collaboration with experts in the field, selection of the suitable terminological resources and references, etc. Revision of concepts: performed by an expert professional. For example, if the translation is technical, an industry professional will verify the complete accuracy of the concepts, technical vocabulary, etc. Spelling, grammatical and style revision: performed by a linguist in the target language. This professional guarantees the absence of human mistakes, misspellings , typos, as well as the consistency and coherence of the style. Quality analysis: in the last stage the key points of the project are examined to ensure that the previous stages have been conducted and the work meets the quality criteria. Once the text has been translated (and formatted or sworn, if applicable) and has successfully gone through the various control stages, the final result is sent to the client in the format requested. We also store all translations in our files so that we can pick them up, update them or send them again if necessary. We make daily and weekly backup copies in different hard discs and physical locations to make sure that all documents are always kept safe. We also comply with the Spanish Personal Data Protection Law (LOPD) as regards personal data processing and data confidentiality. You will receive a high-quality translation before you even get a price quote from other translation agencies. We like a strong sense of responsibility and professionalism. And we apply them. You ensure the reliability and quality of the texts you send to the international market. Your cover letter is also our best calling card. You exponentially increase the number of potential clients for your business. We help you to achieve this by becoming involved in your project. You will make your investment in the internationalisation and export of your products and services 100% profitable. We are your very own translation department. Did you know that some 6,500 languages are spoken in the world today? We don’t speak them all, but we do work with people who speak the language you need.